Jackpots start at $5 million! 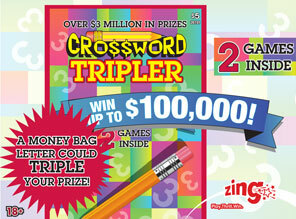 Guaranteed $1 million prize to be won each and every draw – drawn only from tickets issued! For just $3, you receive one six-number selection and one unique 10-digit Guaranteed Prize Draw selection. Win a Free Play for matching two main winning numbers! Add Wednesday or Saturday’s EXTRA for a chance to win the $250,000 top prize or the $100,000 second prize! You can play LOTTO 6/49 by Quick Pick where the Ticket Terminal will randomly choose your selection(s), or pick your own numbers using a Selection Slip. 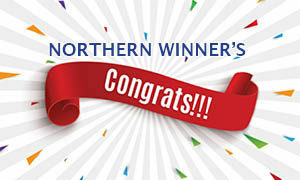 You can also choose Play Both to receive the same selection(s) on LOTTO 6/49 and WESTERN 649. 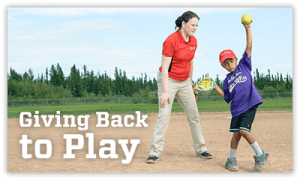 Refer to the Play Both box below for more information. Ask for a LOTTO 6/49 Quick Pick or select six numbers from a field of 1 to 49 on the slip. For each $3 LOTTO 6/49 play, you will also receive a Guaranteed Prize Draw selection. You can play up to six LOTTO 6/49 selections on one ticket. Add EXTRA* for an additional $1 per number. You can add up to six EXTRA (one per each LOTTO 6/49 purchase) by specifying it with your Quick Pick request or by marking “Yes” under each board played. Every Wednesday and Saturday, after the main winning numbers are drawn for the LOTTO 6/49 Jackpot and subsidiary prizes, one Guaranteed Prize Draw selection will be drawn at random from all the Guaranteed Prize Draw selections issued for a prize of $1 million (exact match only). 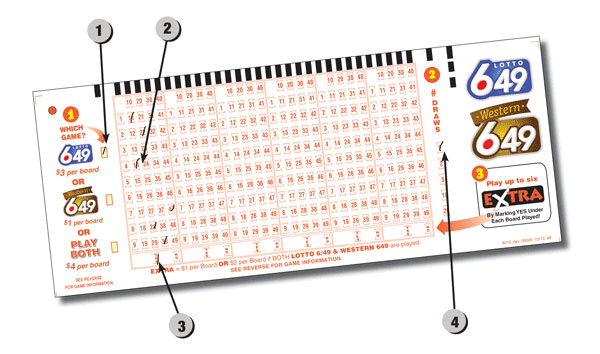 If the ticket contains multiple LOTTO 6/49 selections, the player receives multiple Guaranteed Prize Draw selections – the first eight digits are the same for all entries; the two-digit number following the hyphen starts at 01, and increases by one for each additional selection on the ticket. LOTTO 6/49 draws are held every Wednesday and Saturday. When you choose Play Both, either on a Selection Slip or by asking the Retailer, you will receive the SAME SELECTIONS on your LOTTO 6/49 and WESTERN 649 tickets. The LOTTO 6/49 ticket will include a Guaranteed Prize Draw Selection for every $4 Play Both purchase. EXTRA can be added for $2, and these numbers will be different. The Main Prize Fund is 40% of sales. *The fixed prizes of Free Plays for 2 of 6 main numbers, $5 for 2 of 6 main numbers plus the Bonus and $10 for 3 of 6 main numbers are payable from the Main Prize Fund. The remaining is the Pools Fund, from which all other pari-mutuel shares of prizes are paid. The Guaranteed Prize Draw Fund is 7% of sales. Odds of winning any prize are 1 in 6.6. All odds are approximate. A Free Play ticket includes one six-number Quick Pick selection and one Guaranteed Prize Draw selection. You can add one EXTRA number for an additional $1. LOTTO 6/49 tickets valid for multiple Free Plays will be printed on more than one ticket. See the chart below.